There is no longer any need to leave home to manage different transactions with the administration. Now, with the purchase of software for e-invoicing in Chile, taxpayers can operate from home with their own software, or one acquired in the market, which can issue an e-invoice replacing the paper document. This e-document will have the same legal validity, while the taxpayer saves on transfer and processing time. One of the biggest advantages of e-invoicing in Chile for taxpayers is the convenience of being able to carry out any type of administrative transaction from home. Or likewise, to create a tax document electronically, replacing the legal support and being able to issue e-invoices not only in Chile, but also debit notes, waybills, exempt invoices… to the Internal Revenue Service (SII). To this end, the Chilean IRS (SII) has drawn up a Certification process for taxpayers to start operating with e-invoicing in Chile, where one of the main requirements is as follows: The SII will remove those taxpayers who report no business in the six months since their last activity from the electronic certification process. This way, the Internal Revenue Service intends to encourage people to use and sign up to the new mandatory invoicing model and to stop using paper. Moreover, if they have considered the process, it is because they intend to make use of it. If a taxpayer is removed from the Chilean e-invoicing certification process, they must register and complete all steps of the procedure again in order to be able to keep using it. What are the steps to follow, both in this phase and any other? Having a trial set assigned by the SII, a simulation step and sending print samples, exchanging information with the Administration for validation, and the corresponding declaration of eligibility and authorization of the taxpayer in question. Following these same steps, the "expelled" taxpayer may go back to operating with e-certification in Chile. 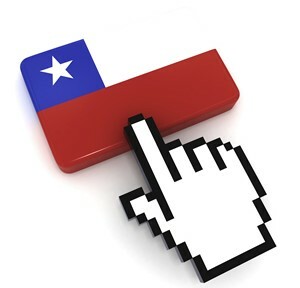 Taxpayers using e-invoicing in Chile should send a sample of each electronic tax document they are using to the SII for validation with a digital signature by the issuer. The issuer must also receive electronically the other tax documents sent to them by other taxpayers in the course of their business. And every month, apart from those tax documents issued, taxpayer in Chile must also send their electronic purchases and sales information to the SII.